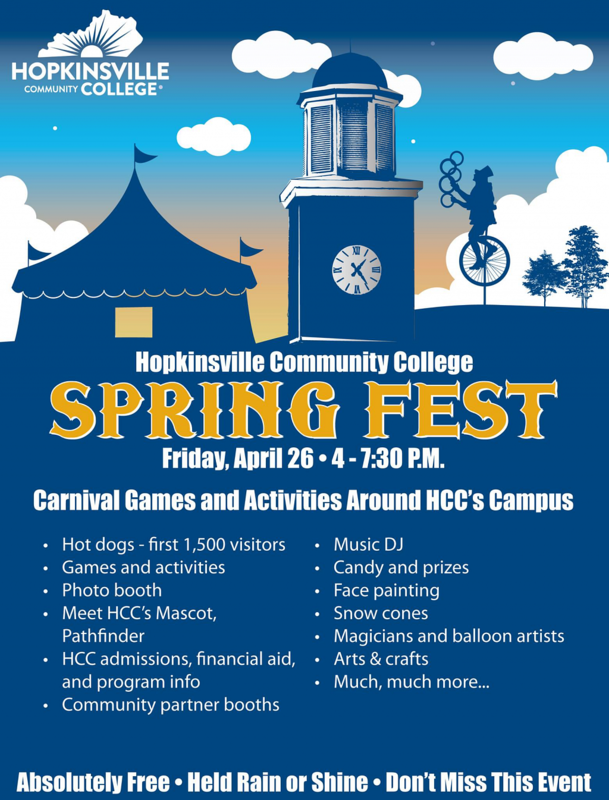 Visit the campus of Hopkinsville Community College on Friday, April 26th from 4 to 7:30 p.m. for the College’s 2nd annual Spring Fest! This event is free and open to the public. There will be carnival games and activities all around our Hopkinsville Campus.